Check out these close-to-home activities and essential OBX "must sees" the next time a little rain dampens a day at the beach. The Outer Banks Beachcomber Museum - Located at milepost 13 in Nags Head, this museum features All Things Nags Head from ancient beach finds to relics of the town's first decades of tourism. The museum features the extensive Nellie Myrtle Beachcomber Collection, and is open seasonally to the public. North Carolina Aquarium -The expansive Roanoke Island aquarium will keep visitors entertained for a full afternoon, with exhibits dedicated to every aspect of the coastal ecosystem. Watch sea otters play, touch live manta rays and hermit crabs, and view passing sharks and sea turtles in one of the largest saltwater tanks in North Carolina. Wright Brothers Memorial - Head to the Visitors Center for an extensive collection of exhibits and multimedia presentations, special NPS guided-programs, and a chance to view an exact replica of the Wright Brothers' 1903 glider. The Memorial's Visitors Center is open daily, and is located in Kill Devil Hills. 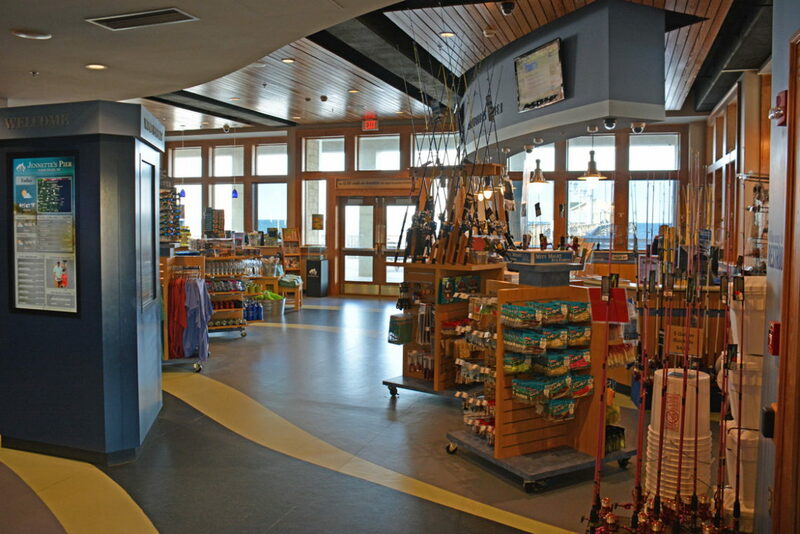 Children at Play Museum - This Kitty Hawk museum is designed for the Outer Banks' youngest visitors and features a host of age 1-10 appropriate exhibits, including a Gone Fishing exhibit, the OBX Wellness Center, a Wonder Wall, an indoor Tree Fort, and a replica of an Open Air Market. Bodie Island Lighthouse - Check out the Visitors Center and gift shop which is chock-full of memorabilia, or climb to the top of this South Nags Head beacon - the lighthouse is seasonally open for exploration, and only closes when thunderstorms are in the area. Outer Banks History Center - This valuable collection of Outer Banks archives in Manteo has been visited by journalists, the History Channel and National Public Radio, but everyday visitors will also be fascinated with the center's rotating series of regional artworks and special historical exhibits. Chicamacomico Lifesaving Station - Drive 30 minutes south to the small town of Rodanthe to discover one of Hatteras Island's most celebrated lifesaving stations, still in its pristine 1874 condition. The collection of stations and outbuildings contain a gift shop and museum of lifesaving service relics. OBX Bowling - Open every day, the newly reopened Nags Head Bowling Alley features a snack bar, a separate arcade, and more than 20 lanes for families looking to have some fun. Destination Fun - This Kill Devil Hills Laser Tag center is appropriate for all ages, and also features an arcade, a bounce house for young visitors, and a 3D mini golf course. Gearworks Laser Tag and Family Fun Center - Nags Head's own laser tag center features plasma monitors and an observation deck so parents can watch their kids while they're in the heart of the action. The center also feature air hockey, and a video arcade. Movie Theaters - Nags Head visitors will be close to both the Theatre 10 Multiplex in Kill Devil Hills, which features stadium seating, a game room, and digital projection and sound, as well as the historic Pioneer Theater, which has been Manteo's signature downtown theater since it was built in 1918. YMCA - With fitness classes, indoor gym facilities, special kids' classes and areas, and a sprawling indoor pool, the YMCA is a rainy day destination the whole family will love. The Y features Guest Passes, and many rental homes in Nags Head offer passes as an amenity for guests. Gallery Row - Running in between the Beach Road and the Beach Bypass in Nags Head, Gallery Row is home to a collection of art galleries that feature extensive collections from the best local, regional and even national artists. Outer Banks Shopping Mall - Located in Nags Head, the mall is a generations-old destination for a day of shopping, and features nearly 30 shops, grocery stores, services, and food vendors or restaurants. Tanger Outlets - The Outer Banks' only outlet shopping center is located in Nags Head, and features plenty of famed name brands including Gap, Coach, Tommy Hilfiger, Corningware, Bali, and more. Surfside Plaza - This classic shopping center features a cool collection of clothing shops, a consignment store, a music store, and a handful of OBX gift shops. Beach Braids - Located in Nags Head, patrons of all ages can experiment with a (completely temporary) Henna tattoo, or get a new hairstyle with a colorful blend of braids and beads. Glazin' Go Nuts Paint Your Own Pottery - Located in Kill Devil Hills, visitors can settle in and decorate a hand-picked ceramic piece of choice, which will be fired, glazed, and can be picked up within a couple of days. Garden of Beadin' - Kill Devil Hills' Garden of Beadin' has thousands of beads that can be artfully transformed into gorgeous necklaces, bracelets, earrings, and other delicate treasures. Coffee Shops - With roughly a half dozen relaxing coffee shops, with amenities such as books, games, and free Wi-Fi, Nags Head is the perfect locale for coffee fans to grab a hot brew and relax on a rainy morning. Dining - Nags Head is home to more than 60 restaurants which range from cool seafood shacks and BBQ joints to upscale cafes. Stop at Owens Restaurant for a long dinner, (one of the oldest restaurants on the Outer Banks which first opened in 1946), or swing by a local Beach Road bar for an afternoon Happy Hour. Owned by Garry Oliver, the proprietor of the Outer Banks Fishing Pier, this small wooden aqua blue-colored store on the Nags Head-Manteo causeway has been serving the needs of fishermen for decades. A full line of tackle is available for all types of fishing --- surf, pier, inshore and offshore --- with fishing rods stored on the ceiling as well as along the walls. The store is an authorized dealer for major tackle brands, including Fish Bites, Daiwa and Gulp, and has a large selection of fresh, frozen and live bait. In addition, it stocks crabbing supplies, and sells sunglasses, jackets, hoodies, T-shirts and hats. The store also rents outboard and pontoon boats for sound fishing, and is an authorized outlet to purchase state-required recreational fishing licenses. We also offer Dolphin Watching Tours! Stop by Nags Head's Ben Franklin at Mile Post 10 on the Bypass where you will find everything you need for the beach! From Clothing, T-shirts and Swimwear to Boards, Chairs, Umbrellas and Tackle. You'll find it all…and of course, we have the best selection of Souvenirs anywhere on the Outer Banks. Enjoy your vacation!